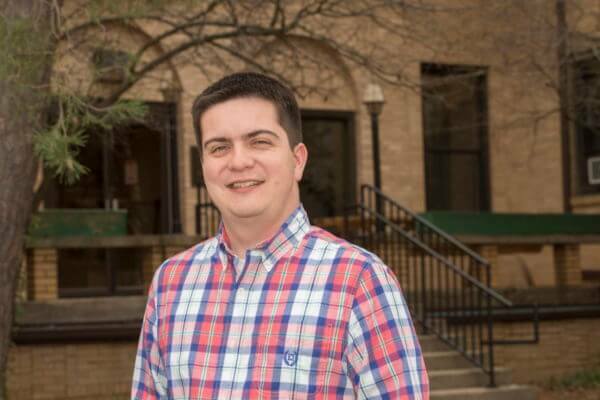 Mark Pietrowski Jr., DeKalb County board chair and director of NIU Continuing and Professional Education recently was selected as one of 40 emerging leaders in the state of Illinois to take part in the seventh class of the University of Illinois Edgar Fellows Program. The group of 40 were selected from nearly 170 nominations by an advisory board of former and current elected leaders and public and private CEOs and directors. The leadership program this year ran from Sunday, Aug. 5 to Thursday, Aug. 9, and was packed from morning until night with presentations, workshops and activities. “It was an honor to be selected to this prestigious leadership fellowship, and I was able to build amazing relationships during the week and be inspired that there are others in the state also working hard to find solutions and work together to achieve them,” said Pietrowski. “The fellowship is unique in that Governor Edgar designs it to be non-partisan and be representative of the state with a diversity of gender, race, political ideology, public and private leaders in order to help us build friendships and understanding with people we may not regularly interact with in our daily lives,” said Pietrowski. The class of 2018 were added to the growing list of Edgar Fellowship Alumni and stay connected throughout the year through email, social media and alumni events throughout the state. “I am looking forward to utilizing what I learned and the relationships I have built to help our DeKalb County community and Northern Illinois University,” said Pietrowski.